Receiving the steepest sentence was Pham Cong Danh, former chairman of Vietnam Construction Bank (VNCB), who received a 20-year sentence for ‘deliberately violating state regulations on economic management causing severe consequence and breaches of the lending regulations of credit institutions’. 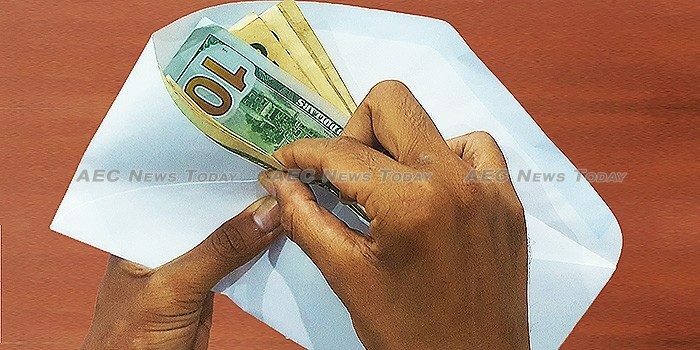 In a separate trial in 2016 Pham was sentenced to 30 years jail for illegally withdrawing more than US$404 million from the bank, considered the biggest loss in Vietnam’s banking sector to date. In the 1990s he was jailed for six years for ‘abuse of trust and appropriation of property’ during his career in the construction industry, before he moved into banking. 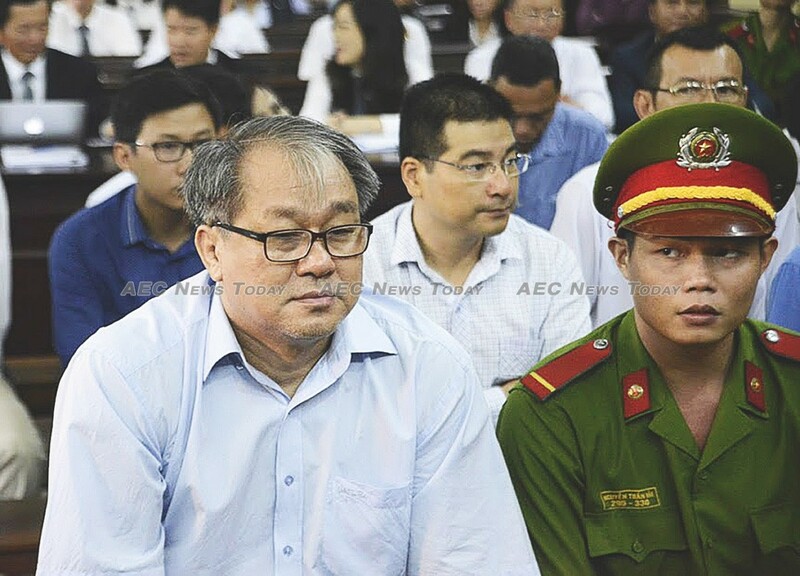 Receiving a ten-year jail sentence last week was Phan Thanh Mai, VNCBs former chief executive, while 43 accomplices received sentences ranging from two years probation up to ten years imprisonment. 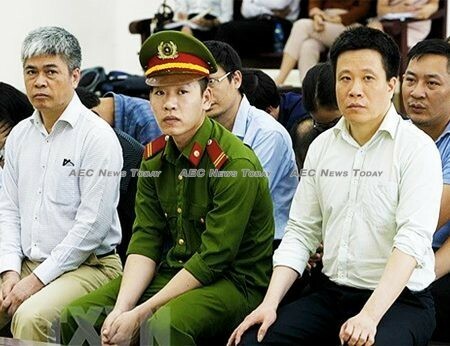 According to online news site VnExpress, the jury claimed ‘Danh and his accomplices caused damages of VND 6.1 trillion ($264 mln) to the VNCB, leaving adverse impacts on the banking system’. In the early 2010s a series of failures and scandals rocked the Vietnam banking sector, with this latest trial being a continuation of those effects. Ranked 107th out of 180 countries on Transparency International’s Corruption Index 2017, Vietnam’s efforts to root out corruption — both current and past — appears to know no limits, with no-one apparently untouchable. Last month Tran Viet Thang, former general director of the Vietnam Cement Industry Corporation (Vicem), was stripped of his membership of the Central Businesses’ Party Unit (CBPU) and of the Executive Committee of Vicem’s Party unit. Between September 2013 and the end of 2016 actions taken by Tran allegedly resulted in losses to the State-owned company of more than VND 4 trillion ($173 mln). Mr Tran is currently awaiting trial. In late June the ruling Communist Party of Vietnam (CPV)’s top watchdog, the Central Inspection Committee (CIC), called for ‘disciplinary action’ against Air Force Colonel General Phuong Minh Hoa and Lieutenant General Nguyen Van Thanh for mismanagement of defence land between 2010 and 2015. The rank of Colonel General is Vietnam’s second highest, immediately below that of General and before Lieutenant General. Also fingered for ‘disciplinary action’ was current Minister of Information and Communications, Truong Minh Tuan, and his predecessor, Nguyen Bac Son, who are accused of causing the State losses of some VND7 trillion ($303 mln). The CPV has four punishments for misconduct by official members: reprimand, warning, demotion, and expulsion. Reinforcing the impression that almost no one is beyond the reach of the country’s graft prosecutors, in January Trinh Xuan Thanh, former head of PetroVietnam Construction (PVC), was sentenced to life in prison for embezzlement — plus 14 years jail for mismanagement — for losses to the State of some $5.2 million through an investment by PetroVietnam into a thermal power plant. Twenty-one other officials including a former party politburo member were sentenced to between 30-month’s probation and 22 years jail. 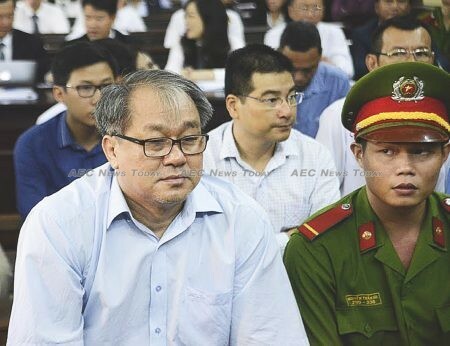 Last year Nguyen Xuan Son, former general director of OceanBank, was convicted of embezzlement, abuse of power, and economic mismanagement by a Hanoi court and sentenced to death over the of mishandling State money resulting in losses of some $69 million. Prior to his arrest Mr Nguyen was head of state oil giant PetroVietnam. Jailed for life on the same charges, and for violating lending rules was Ha Van Tham, the bank’s former chairman, once one of the richest people in Vietnam. Joining them was 49 other bankers and officials who received a range of penalties.